The Walnut Creek Planning Commission was slated to meet with American Automobile Association Thursday about the automotive company has backed out of its plan to move in to a space that is soon to be vacated by a Chinese restaurant. Bob Redell reports. The Walnut Creek Planning Commission was slated to meet with American Automobile Association Thursday but the automotive company has backed out of its plan to move in to a space that is soon to be vacated by a popular Chinese restaurant. "The applicant has withdrawn the application, and therefore, the item will not be heard at tonight's Planning Commission meeting," the city's Associate Planner, Haley Croffoot said in a statement to Claycord. Earlier this year, the owners of the Jade Garden restaurant received notice that their lease will not be extended when it expires in February due to contractual obligations involving the landlord, Regency Centers, and the Whole Foods Market listed at 2941 Ygnacio Valley Road. The Whole Foods contract includes stipulations limiting the square footage of restaurants in the shopping center and prohibiting an extension of the Jade Garden's lease once it expires. A longtime Chinese restaurant is getting forced out of the Walnut Creek shopping center where it has been doing business for more than three decades. Jodi Hernandez reports. Whole Foods also did not immediately respond. The restaurant has not yet vacated the premises, but plans were already underway for what will occupy that space when they leave. "I feel so lost," restaurant owner Ying Wang said. Wang has been running the family business for the past three decades. She said she feels Whole Foods is forcing them out. "Don't hurt the small business," Wang said. "It's unfair. We are small. They are big." 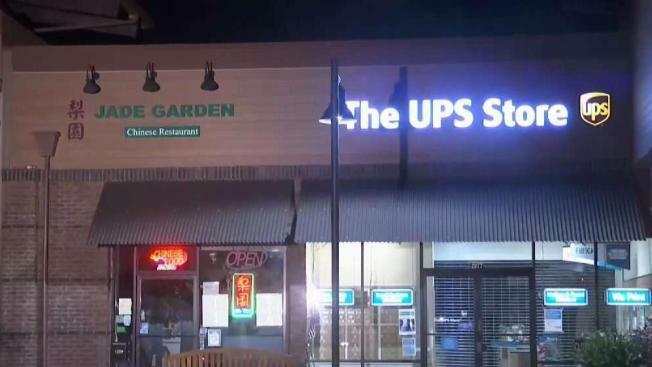 Jade Garden will have to move out when its lease expires on Feb. 28 next year. Last night's agenda also includes an application from YogaWorks in Main Street Plaza to put a 6,846-square-foot instructional fitness studio at 1330 S. California Blvd. The site is a vacant unit, formerly occupied by a retail business, in an eight-unit shopping center. Both locations are commercially zoned, and city staff have recommended that the Planning Commission adopt resolutions approving both applications. More information about the applications is available in the meeting agenda, which has been posted online by the city.